Here’s a compilation of the questions I most commonly hear from readers and aspiring authors. Do you have a question I didn’t answer? Let me know by sending me an email with the subject line “FAQ.” Thanks! *Click the + and – icons to expand or collapse each section. Just pretend that pesky second “a” isn’t there and say Tamra, like camera. Yep. 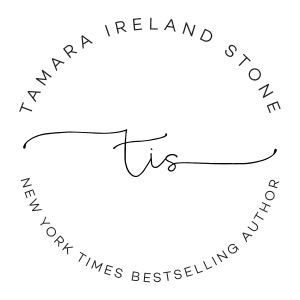 Tamara Ireland is my maiden name. When I got married, I didn’t want to lose “Ireland” but I loved “Stone”, so I legally changed my middle name to Ireland and kept the whole darn thing. It’s a mouthful, but I like it. My ideas come from all sorts of places. Time Between Us came from an “argument” my husband and I had about the best superpower (I said time travel, he said flying. We still disagree about this). Every Last Word was inspired by my friend’s daughter, who was diagnosed with OCD when she was twelve and kept it a secret from her friends. Click’d was inspired by my own passion for technology, along with a deep-seated desire to see young women embrace STEM (Science, Technology, Engineering and Math). Also, girl power. Little Do We Know was inspired by my lifelong fascination with religion; both the ways it brings people together and the ways it can pull them apart. And because I’m kind of obsessed with near-death experience stories. My stories are works of fiction, but they all come from my interest in exploring a big question and seeking out my own answers. I love research, so I often pick topics I want to study and better understand. I often pull from events in my past and weave them into my stories, because I find it hard not to. Writing is very personal to me. I certainly hope so. As I write, my books play like movies in my mind, and it would be amazing and totally surreal to see them come to life on the big screen. Time Between Us was in development with CBS Films, but after some changes at the studio the project was canceled. There’s been interest in Every Last Word, but I can’t share specifics beyond that. Like you, my film agents and I are all eager to see Anna and Bennett in Italy and Thailand, and to hear Sydney yell “Stick me!” from the makeshift stage in Poet’s Corner, so let’s all keep our fingers and toes crossed! Why is Anna a runner? Why is Sam a swimmer? Why is Allie a soccer player? Are all your girls sporty? I discovered running when I was in my early twenties and it changed my life. It gave me confidence and most importantly, I feel like it gave me more control over my own mental health. Running, pacing myself to the music blasting in my ears (Green Day, Nirvana, Smashing Pumpkins, of course), and tuning out the world became my escape. I wish I’d discovered it in high school when I needed it even more. Sam is a swimmer for the same reasons. I’m a horrible swimmer, but everything I said about running applies: Sam synchronizes her strokes to a song in her head, and the combination of water and silence gives her mind the peace it can’t find outside the pool. Allie is a soccer player because I wanted to show her as a girl who loves computer programming and playing soccer, with a friend group that supports both of Allie’s passions. I don’t like putting people in boxes in stories or in real life. I think sports teach kids valuable lessons about working as a team and learning to push yourself, so I often draw on that for my stories. I can’t stand writing. How can you write a whole book? I get this question at school visits all the time, and here’s what I ask back: Do you dislike storytelling or do you dislike the physical act of writing? Because they’re two different things. If you don’t like making stories up in your mind, there’s not much I can do about that. But if you dislike writing—and I think a lot of young people do—that might naturally change with time. I loved coming up with stories when I was young, but I found the writing part incredibly frustrating. Whether I was typing or writing with pen and paper, my hands just couldn’t keep up with my brain. I’d get discouraged and give up. My mom forced me to learn to type, and it was one of the best gifts she’s ever given me. For one, I used this single skill to put myself through college, typing up papers for my friends and working as a temp in offices during the summer. And now, because I type really fast, I can write books pretty quickly (I write horrible first drafts, by the way, and I live by the old adage, “writing is rewriting.” Once I get it out of my head and onto paper, I can figure out where to go from there.). If you don’t like writing but have a bunch of stories in your head, give yourself a little time before you say you “hate” writing. Your body needs to catch up with your brain, that’s all. Keep writing. Keep practicing. Keep building up the muscles in your hands and in your head, and eventually, they’ll learn to work in lock-step. How do you start writing a story? The character’s big “what if” question kicks off the story. I decide how I want them to evolve and transform over the course of the novel, and what I want them to discover about themselves in the end. Those two elements become the bookends for the story, and I build out the rest of the middle pieces–the journey from beginning to end–from there. I get most of my writing done during the week while my kids are in school. I’m one of those annoying morning people, so I try to get to my desk, turn on some music, sip coffee, and start writing as early as possible. I try not to write on weekends; that’s precious family time. When I get to the end of a draft or a revision, I tend to go “full immersion” and stay in the story without breaking for anything but sleep. We have a little cabin in the woods, and I’ll often head up there for a week, where the clock doesn’t matter and I can be alone with my characters. I don’t do a lot of the things people often say you’re “supposed to do” to be a writer. I don’t do daily word counts. I don’t write every day. I don’t outline before I start a new project (although I do outline later, once I have my head around the story). I don’t start with research, I research as I go. Mostly, I don’t listen to advice about what you’re supposed to do to be a writer. I just write. I’m an aspiring writer. How did you start the process of getting your first book published? I get this question all the time, and I have to start by addressing a pet peeve: you’re not an aspiring writer. If you write, you’re already a writer. Go ahead and own it. You deserve it! Now, if you’re a writer who’s working toward publication, I highly recommend getting involved in SCBWI, the Society of Children’s Book Writers and Illustrators. I attended my first conference right after I finished writing Time Between Us, and I wish I’d discovered it even sooner. I met so many wonderful writers, agents, and editors through this organization, and I wouldn’t be in this career right now without them. I also recommend creating a target list of editors and agents you think would be a good match for you and your novel. I started by looking at the acknowledgements of the books I loved. I pulled the names of agents and editors into a spreadsheet, and then visited their websites to learn about their other projects and what they were looking for. I narrowed it down to a select few I thought might like Time Between Us. One of them became my agent, and another one became my editor. I always suggest starting with an agent search. Once you find an agent, s/he can help you find the perfect editor and publisher. When searching for an agent, do your homework. Every agent’s website is very specific about what s/he is looking for and how to make contact. Follow their guidelines, and then follow their advice. The first agent I sent my manuscript to told me he loved my idea for a Time Between Us, but the writing needed work. I took that as great news. If a time traveling teen wasn’t a marketable idea, I couldn’t change that. But the writing—that I could fix. I spent the next eight months working with a writing coach. I learned a ton about pacing and craft, and revised my manuscript several more times. The next agent I shared it with signed me within a week. There are many wonderful blogs out there. 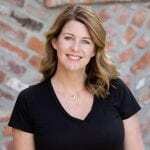 Jennifer Laughran’s Ask the Agent is one of my favorite resources. Nope. Not even close. I wanted to be a journalist so I could write about interesting things that happened to other people. I never had any intention of sharing the stories I made up in my own weird head! That sounded terrifying. There’s a line in Every Last Word where Sam is standing on stage with everyone watching her, and she says she feels a lot more like a stripper than a poet. That’s how it feels for me to share my words: like I’m baring my skin and my soul at the same time. I decided to write Time Between Us completely for myself. I had this story in my head, and I felt I owed it to myself to write it down, just for fun. But when I was about halfway through, I realized I had something to say about the big choices we make, and how those decisions often change the trajectory of our lives. Writing that story made me think about my own experiences and choices, and question whether I’d take a do-over on any of it—even the worst stuff that happened to me (I decided I wouldn’t). I wasn’t sure anyone would want to read my story when it was done, but I thought I owed it to myself to find out, as terrifying as it was. I’m glad I did. It was another big decision that put me on a whole new path and changed my future. Writing is an act of bravery. Writing stories and sharing them with someone else is especially brave. But keep being courageous, fellow writers, because the world needs more stories and storytellers, and your words deserve to be heard. I have three books on the way! The first comes out Fall 2017 and the next two will be out in Spring and Fall 2018. 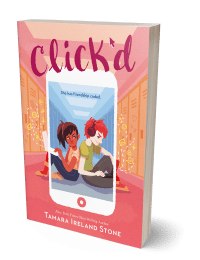 My middle grade debut, Click’d, is out on September 5. It’s the first in a series, so now that it’s almost finished, I’m starting the second book. I’m having so much fun writing these stories about my sharp, driven, girl-coder, Allie. 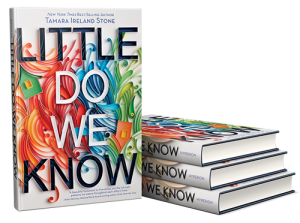 My next young adult novel, Little Do We Know, comes out in Spring 2018, and I’m so eager to share this one with all of you. Someday, I’ll get brave and tell you how this has been the hardest book I’ve ever written and that I almost gave up multiple times. But I’m completely in love with this story and the characters—Emory, Hannah, and Luke—and I’m determined to get it right, however long that takes. What inspired you to write EVERY LAST WORD? What message do you want readers to take from EVERY LAST WORD? In other words, there’s no such thing as “normal.” Everyone’s dealing with something, even if you don’t see it, and you have no idea what’s going on in another person’s life. So be kind to yourself. Be kind to others. That’s all. Did you write all the poems in EVERY LAST WORD? I did. At first, I used placeholder poems I found on Tumblr (written exclusively by teens). Honestly, I got really attached to those poems and had a hard time letting them go. They were amazing. I wasn’t sure I couldn’t do any better (and I’m not saying I did. There are some seriously talented young poets out there!). But once I started writing the poems, I was hooked. I learned to let go of my inner editor and just have fun with them. And each one gave me a new perspective on the people in Poet’s Corner and helped me connect with them in a deeper way. Each poem is so special to me. In fact, I can tell you exactly where I was when I wrote each one. I wrote As If in my local library, sitting next to a window on a rainy day. I wrote On My Way to You at my favorite coffee shop, and hoped no one as watching me because I was teary the entire time. I wanted Building Better Walls to be a poem in threes. I was thinking about it while I was on a hike with my dog and it came to me, so I sat down in a pretty spot overlooking the valley, and typed it into my phone. Pretzel Logic was the last poem I wrote, and I struggled with it for months. It’s a Sydney poem, so it needed to be food-related and funny, but nothing I tried was working. One day while I was driving, I started playing with alliteration, and it suddenly came to me. I went home, ran straight to my office, and wrote it as fast as I could. I wrote Sam’s six-word poem on Post-its, just like she does in the story, and I can’t tell you how many Post-its I went through before I landed on that one. It seemed so simple, but it took me forever! I wrote the final one at my cabin in the Russian River. I wrote Every Last Word in a hotel room during the L.A. Times Festival of Books. After watching the GetLit players perform and chatting with a few of them, I felt inspired to write, so I rushed back to my room and didn’t leave until this poem was finished. I wrote the untitled poem Sam writes at the end of the story in a hotel room in Denver after a writing retreat with some very special writer friends. I was glad I was alone. That one was especially heart-wrenching. I did a lot of revision work to each poem after these initial moments of inspiration, but I like thinking about where each one was born. One of the themes of EVERY LAST WORD is writing as therapy. Is writing one of your coping strategies? Definitely. It always has been. But I don’t think I realized how valuable it was to me until I started writing Every Last Word. I thought I was writing a story about Samantha, a teen with OCD. I’d given her all these tools to cope with her overactive brain, like a therapist she could trust and medication that worked. I made her a competitive swimmer to give her a physical outlet, and the sound of running water to soothe her anxiety. But somewhere along the way, I also gave her my coping mechanism: A pen and a notebook. Writing—the simple act of putting words on paper and getting them out of my head—saved me when I was a teen. Even though I never let anyone else read my stories, poems, or journal entries, my notebooks were my safe place. Words were always my friends, even when I didn’t have many real ones. I simply love writing. I love finding that one word that perfectly fits what I’m trying to say. I love putting words together, flipping them around, playing with them. I love the cadence of a paragraph, when sentences work together so fluidly, they sound musical. I love it when words move me to tears and laughter and swoons and chills and… whatever they feel like doing. Every Last Word is about a girl who’s learning to take control of her mental health. But somewhere along the way, it also became a deeply personal story about a girl falling in love with writing and learning to be braver, word by word. Will you write a sequel to EVERY LAST WORD? No, I wrote Every Last Word to be a standalone story, and I can’t imagine it any other way. I have considered writing a spinoff at some point, focusing on one of the characters who captured my heart and didn’t get as much page space. We’ll see. Why is Time Between Us set in Evanston, Illinois? I’ve lived in Northern California all my life, but for two years in the mid-‘90s, when my husband was in graduate school at Northwestern University, we lived in Evanston, Illinois. They say to write what you know, so I wrote about the two places I’ve lived: Evanston and San Francisco. I wanted Bennett to go somewhere that was totally different from the world he knew, complete with subzero temperatures and snow, and be awed by that in the same way I was. And I’ve always been fascinated by college towns—the way they’re dominated by students and then change completely during the summer. I’ve always wondered about the people who live there, and how that dynamic impacts their lives. I wanted Anna to know what that was like firsthand. 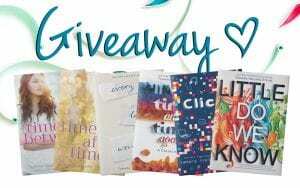 Will you write another book in the TIME BETWEEN US series? I honestly don’t know. I always thought I would, and a big part of me still wants to. I adore Anna and Bennett and I miss them terribly, but I also like where I left them at the end of Time After Time—they’re both in a good place. Still, time travel inherently allows for an infinite number of storytelling options—which is why it’s so hard and so rewarding—and I still find myself thinking about Anna and Bennett’s future. So who knows… I might surprise you one of these days. I also have a list of my favorite writing books HERE. If I send you a letter/email, will you respond? I try so hard to keep up with letters and email, but I fall behind, especially when I’m working on a book or traveling (and I’m doing a lot of both these days). But please know that I read every single letter and email, and I’m always so moved by your words and by the personal stories you share with me. You deserve a long, thoughtful, personal reply, but I can’t always make that happen. My readers mean the world to me, and it breaks my heart that there aren’t enough hours in the day for me to reply to every message. 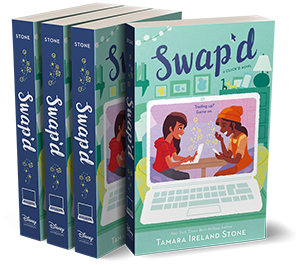 I try to reply quickly on Twitter, and if you tag your Instagram and Tumblr posts with #TamaraIrelandStone and/or any of my book titles, I’ll usually like you post and reply to you within a few days. Who designed this amazing website? Looking for my official bio? Be sure to visit my press kit by clicking the button above.